Hydroponic Nutrients and Additives are a very important part of the hydroponic growing process and Bestes Hydroponics carries the best nutrients or additives that are available. Plant nutrients are dissolved in the water used in hydroponics and are mostly in inorganic and ionic form. Primary among the dissolved cations (positively-charged ions) are Ca2+ (calcium), Mg2+ (magnesium), and K+ (potassium); the major nutrient anions in nutrient solutions are NO3- (nitrate), SO42- (sulfate), and H2PO4- (phosphate). All plants require the right nutrients to help them grow strong and stay healthy. 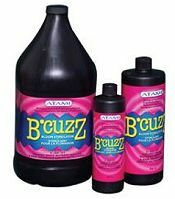 Bestes Hydroponics stocks a vast variety of nutrient solutions for your hydroponic garden. At Bestes Hydroponics, your nutrient and additive answer is only a click away! 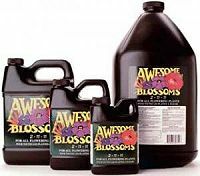 Visit Beste's online hydroponics supply store or call our retail garden and growing center at (586)776-1794 for all the hydroponic nutrient and additive supplies you'll need.